French striker Yaya Sanogo’s chances of making it at Arsenal looked dead and buried when, after a dismal spell with the Gunners, he again fail to make his mark on loan at both Crystal Palace and Ajax. 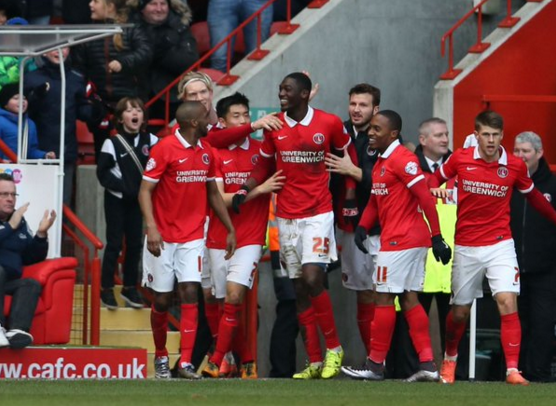 However, on Saturday, in his first start for Charlton, the gangly 23-year-old netted a shock hat-trick against Reading. However, despite Sanogo’s potent display, the Addicks still ended up losing the game, courtesy of Deniss Rakels’ 92nd-minute winner which sees Charton stay bottom of the Championship, while Reading go 12th. Still, as with Alex Song and Francis Coquelin, will the Valley turn yet another mediocre under-achieving loanee into a top-class performer for the Gunners? Time will tell!